Founded soon after the Norman Conquest, St. Leonard's is thought to be the largest medieval hospital in northern England. 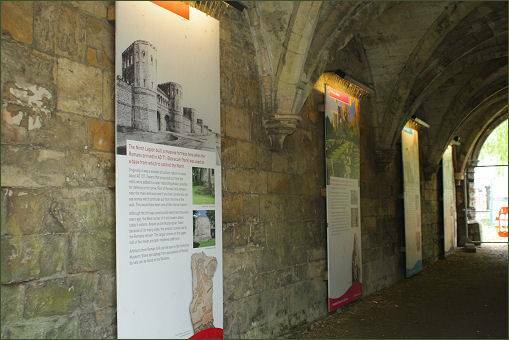 Its remains now stand by the Museum Street entrance of the attractive Yorkshire Museum Gardens, which occupy a sloping site on the north bank of the River Ouse and to the west of York Minster. The building contains both Roman and Medieval masonry, the interior of the undercroft, accessible from the gardens, boasts an impressive rib vaulted ceiling supported by octagonal pillars. St. Leonard's occupies the site of the former hospital of St. Peter's. Tradition states the hospital was founded by the Saxon King Athelstan in circa 937 but nothing is known of certainty regarding its history until following the Norman Conquest. The existing site was granted by William II 'Rufus', who constructed a chapel dedicated to St. Peter. 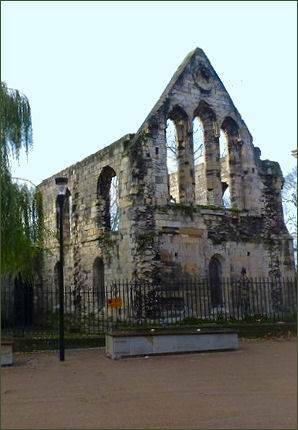 A grant of building materials was made by King Henry I, but the hospital was damaged or destroyed in the great fire of 1137. Henry I's successor, King Stephen, built a new church dedicated to St. Leonard, though the hospital continued to be known as St. Peter's until the thirteenth century. The hospital was one of the largest establishments of its kind in medieval England, owning extensive lands and run by a community of men and women of the Augustinian Order. It occupied the whole of the west corner of the Roman fortress of Eboracum, stretching from the Roman wall to the rear of the properties along High Petergate. The surviving remains consist of a ruined building and some fragments at the Theatre Royal. It was closely associated with York Minster and shared the same grounds. The main function of a medieval hospital was to care for the sick, the poor, the old and the infirm. 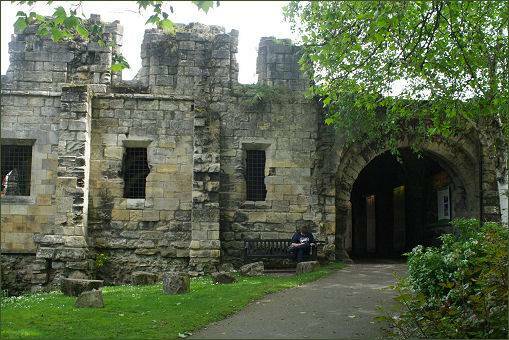 The hospital also fed the poor and condemned, providing meals for the prisoners in York Castle. It was believed that the sick could not be treated for a physical illness until they had confessed their sins. Prayers were a regular routine of the hospital. The large windows were designed to allow fresh air to circulate as it was believed that disease was caused by ‘bad air’. St. Leonards was largely destroyed at the Reformation. After the Dissolution the site was granted to Sir Arthur Darcy in 1544 but sold back to the Crown in 1546, and the royal mint was transferred there from the castle. The building has suffered considerable damage with the passing of the centuries. Today, there is only an entrance lobby and a vaulted undercroft with a ruinous chapel above to be seen. Parts can be viewed from without the gardens and just within the entrance, but for close examination head round to the right, past the Roman Multangular Tower and through the door in the circuit wall. In 1999, the hospital and surrounding area in Museum Gardens was one of three sites in York to feature in an edition of the British Channel 4 television programme 'Time Team'.